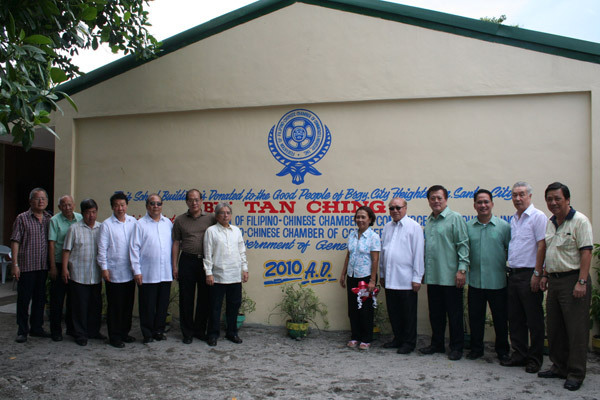 The Federation of Filipino-Chinese Chambers of Commerce and Industry, Inc. is the largest organization of Filipino businessmen with Chinese heritage. FFCCC1I has a network of 170 chambers of commerce and trade and business associations all over the Philippines. 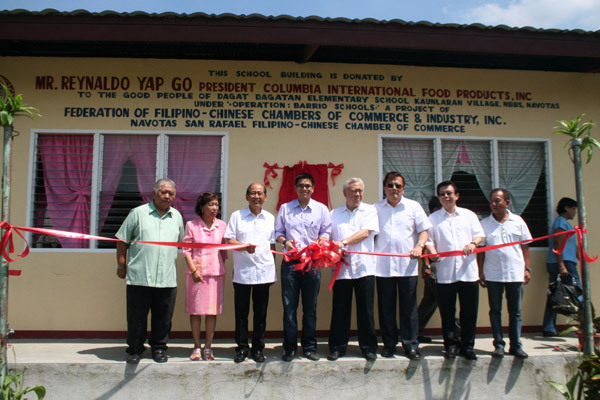 Since its creation in 1954, the FFCCCII has been pursuing programs and projects that promote business growth, social welfare and development, unity in the Chinese-Filipino community, and nationalism and cultural heritage. FFCCCII places special focus on the promotion of investment in industry, tourism, agriculture, infrastructure and mining in the different regions of the Philippines. It also pursues the campaign for Buy Pinoy to encourage consumers to patronize Philippine products, promote efficiency and quality improvement among local producers, and ensure jobs for Filipino workers. 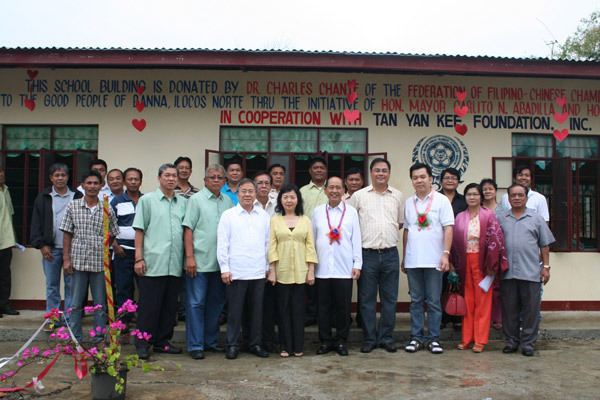 Widely recognized as a partner in nation-building, FFCCCH’s dedication and commitment to the pursuit of progress and improvement of Filipino lives can be seen in its many programs such as cntreprcneursliip development, tax campaigns, relief operations, liealtli services, agricultural modernization, maintenance of peace and order, and development of education through scholarships, trainings, and construction of schoolbuildings. Operation: Barrio Schools is the longest running and biggest private-sector-led schoolbuilding construction program in the Philippines. 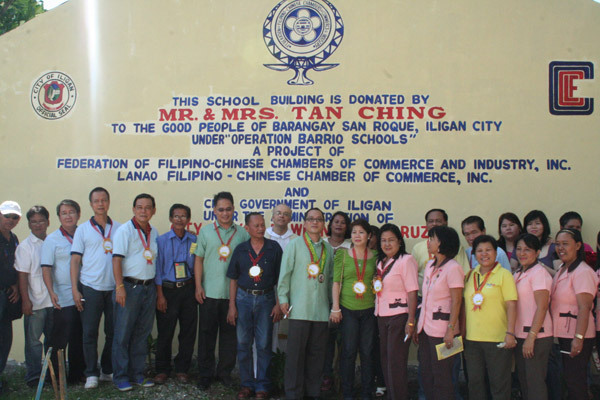 To augment the country’s classroom shortage, two-classroom schoolbuildings are built in public schools in all regions through donations from FFCCCII members and from benevolent organizations, families and individuals within the Chinese-Filipino community. Operation: Barrio Schools started in 1960 and has since supported the education program of eight Philippine Presidents, since the time of President Carlos P. Garcia. During the first decade, 100 schoolbuildings were built, while 300 schoolbuildings were built in the following decade. The project picked up momentum as the years went by and in March 2005, the 3,000th schoolbuilding donation was turned over to the government. FFCCCI11 has already surpassed the 4,000-mark during the term 2009-2011. 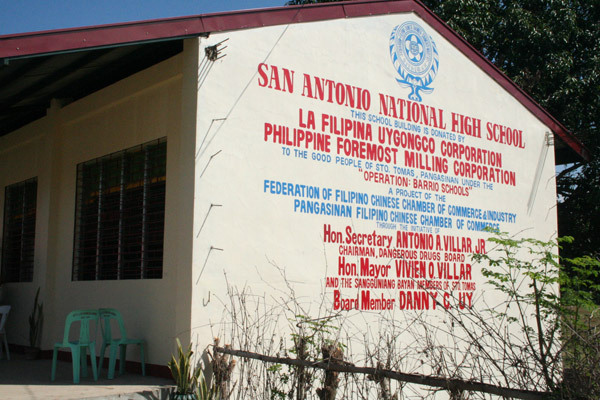 Following the success of Operation: Barrio Schools, and the program’s reputation for constructing schoolbuildings promptly and at the lowest cost, FFCCCII was tapped to be the government’s partner in various government projects for schoolbuilding construction. 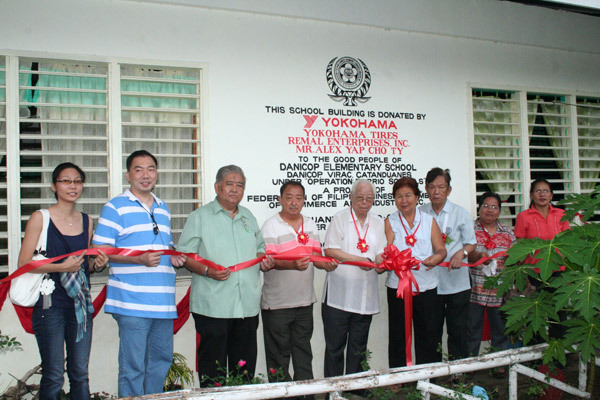 Then Senate President Franklin Drilon assigned his Congressional Initiative Fund as financial assistance to construct schoolbuildings in rural areas all over the country under the Senate President Franklin M. Drilon – FFCCCII School Building Program. 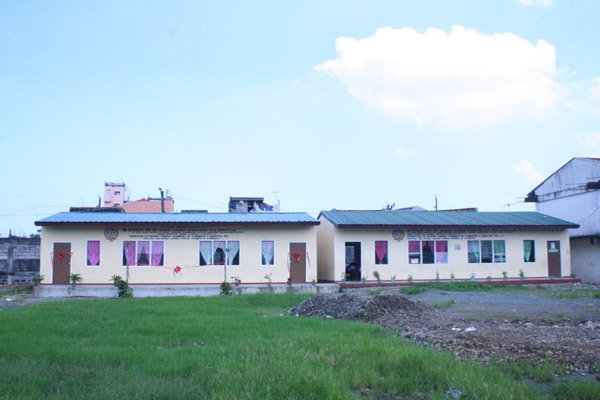 About P255 million has been committed for the construction of more than 1,400 classrooms. 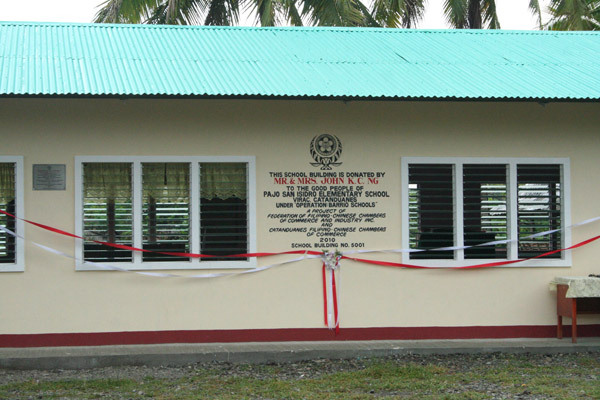 In January 2011, Senator Drilon signed a Memorandum of Agreement with FFCCCII and DPWH for the construction of 100 units of two-classroom schoolbuildings to be funded by Senator Drilon’s Priority Development Assistance Fund (PDAF) amounting P50 million. 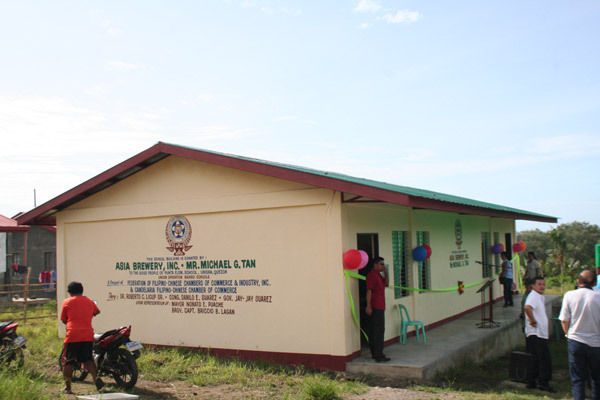 The Federation also implements a school building program in partnership with the Department of Labor and Employment under the DOLE-FFCCCII School Building Program. 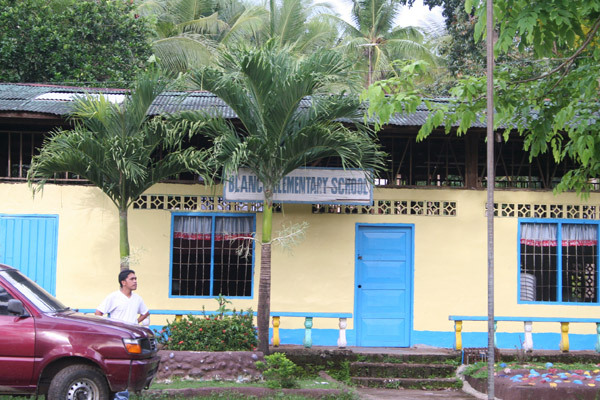 DOLE solicits donations from Filipinos overseas for schoolbuilding construction. So far, donations have mostly come from overseas Filipino communities, overseas Filipino workers and their employers, and private companies. 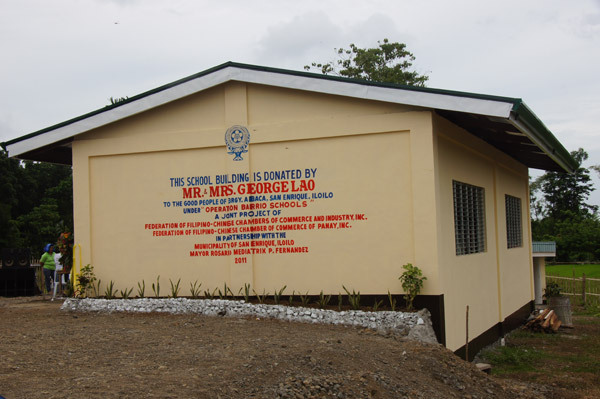 Former President Gloria Macapagal-Arrovo entrusted part of the President’s Social Fund for the construction of schoolbuildings under the PGMA Schoolbuilding Project. 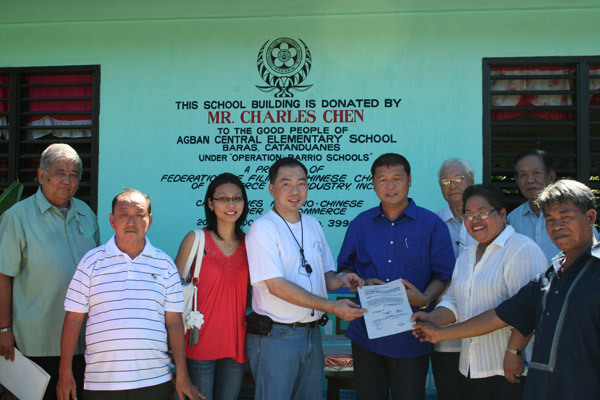 A total of P78.3 million has been turned over to FFCCCII for the construction of 207 two-classroom schoolbuildings. 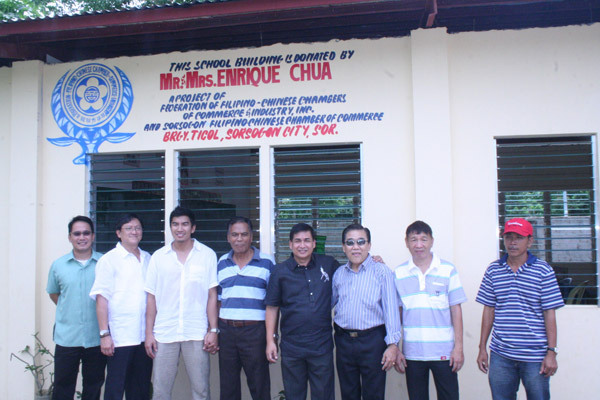 Following the success of the schoolbuilding program of Senator Drilon, Senator Francis Pangilinan also allocated part of his Congressional Initiative Fund to FFCCCII for the construction of classrooms for public schools under the Senator Francis “Kiko” Pangilinan – FFCCCII School Building Program. 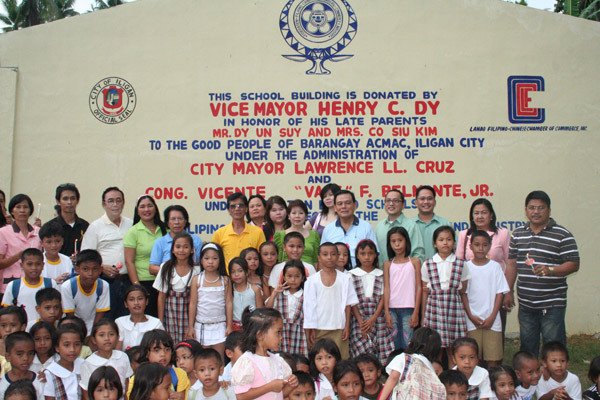 Sen. Pangilinan has allocated P40 million for schoolbuilding construction in Luzon and another P40 million for the Visayas and Mindanao areas. 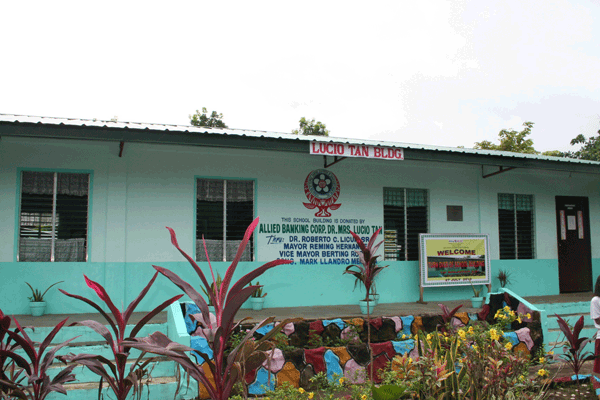 In 2007, Congresswoman Judy Syjuco of 2 district of Ilolio allocated P4 million of her Congressional Initiative Fund for the construction of 10 schoolbuildings in the province of Iloilo. 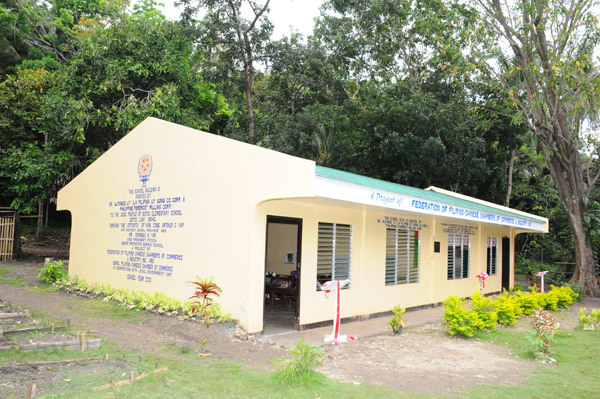 The Department of Education and Department of Public Works and Highways also committed to the FFCCCII P 215.7 Million for the construction of 966 classrooms for which the project was called “FFCCCII-DPWH-DepEd School building Project”. 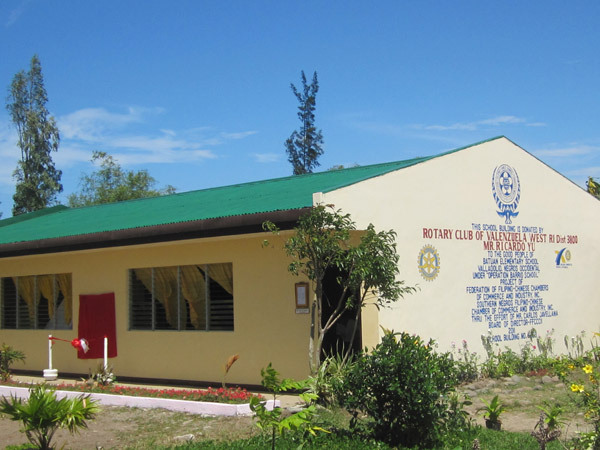 In 2008, Congressman Rosendo Labadlabad of 2nd District of Zamboanga del Norte allocated P10.3 million of his Congressional Initiative Fund to FFCCCII for the construction of 25 schoolbuildings in 2nd district of Zamboanga del Norte. 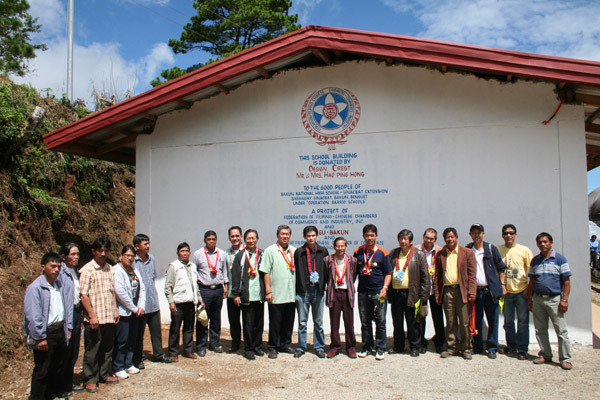 In February 2008, FFCCCII signed a Memorandum of Agreement with the Department of Education and the Department of Public Works and Highways for the construction of 575 units of two-classroom schoolbuildings worth P 250 million. 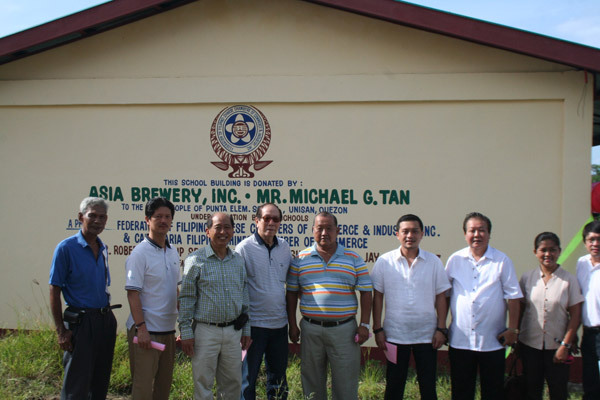 In May 2009, FFCCCII signed a MOA with former Sen. Richard Gordon for the construction of 212 classrooms worth 57 million.